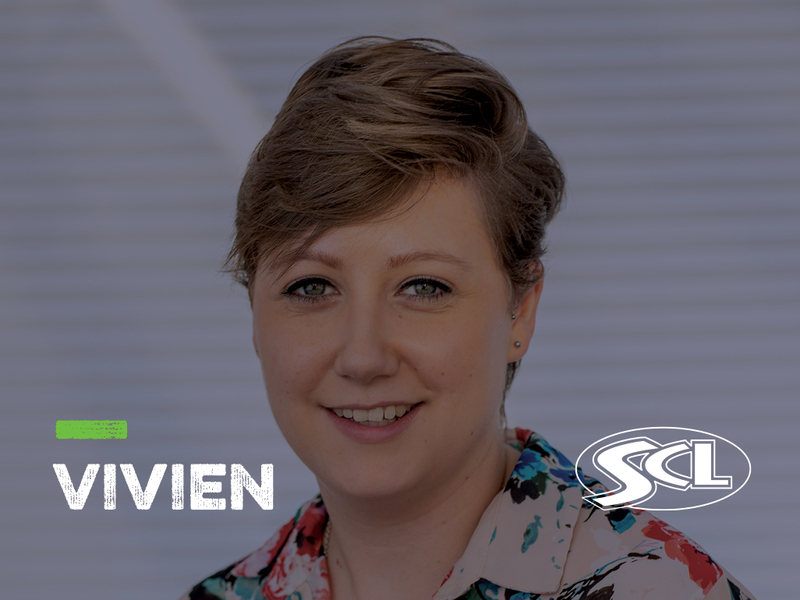 This week we spoke to Vivien Cooper; Learner Engagement Officer for the North Division, as we took an inside look into her career, and found out why a role with SCL is #morethanjustajob. I am the Learner Engagement Officer for the North Division at SCL. I work closely with Academy Managers and the North Division education team, recruiting learners for each of our northern academies. Making sure that the learner is at the centre of everything we do, while supporting and guiding each leaner through an application to their desired sport and education academy. Pathing opportunities for their next two years of education, and providing them with the opportunity to gain the qualifications that they need for their future career. I work with great people who are so passionate about doing their best for our learners. It’s great to see everybody working as a team, whereby everyone is approachable and willing to help each other across different departments and sectors. As well as supporting 16–18 year old learners at SCL find a place of education and sport development, I also in my spare time coach an U7 boys football team at Ash Community FC which I love. It is so rewarding coaching young people, as my coach did when I played football from that age. I am also a huge Liverpool fan and religiously watch every game... my colleagues even got my shirt signed by Jamie Carragher at his football & education academy that we look after! Sport has the power to promote health, equality, teamwork, giving you a great sense of belonging. Sport also unites & inspires different people of all ages and all races from all over the world. Creating opportunities for young students today and helping them with their next steps in life. Before I worked for SCL, I was a manager at Carphone Warehouse, where I looked after customers phone contracts and technology around the home. I joined SCL last February and it was big career change – Sales to Learner Recruitment and Engagement. But with my transferrable skills in conjunction with my passion for sport, my role at SCL was perfect for me. Helping over 1900 students find a place of education for this year. Even students that may have not met their predicated grades. This was really great to be a part of. Achieving my BA Honors in Broadcast Media. This is a stand out moment for me as I struggle with dyslexia and writing a dissertation was a challenge I thought I’d never overcome and I am very proud of this. Managing a large number of emails, calls and texts to numerous amount of students around the UK. Hardworking, patient, engaging and a supportive attitude, with the ability to Account Manage different clubs from different areas from our hub in Sandhurst. Being adaptive to different people you work with, as one minute you will be helping or informing a learner, and the next you will be working through recruitment tactics with an Academy Manager. What opportunities are there in the industry for young people in 2019? Don’t worry about the past or future, just experience life as it comes your way. Stop worrying about what can go wrong, and get excited about what can go right. The only limits that exist are the ones in your own mind.